Tired of sales meetings that lead nowhere? Sales meetings don’t have to be that way. 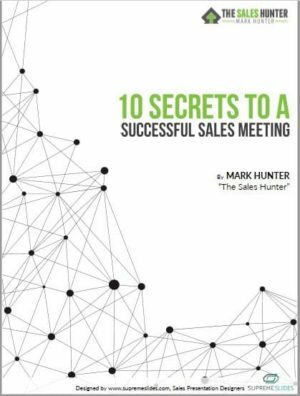 Discover the 10 secrets that will have everyone on your sales team grateful for meeting time well spent. In this free eBook, you will learn specific techniques to turn unproductive sales meetings into productive ones. Simply complete the below information and you will be taken immediately to a page with a link to the free eBook.